FC Barcelona are into yet anotherCopa del Rey Final! Hércules, check. Athletic Club, check. Real Sociedad, check. And now Atlético Madrid, check. The club is chasing a third consecutive cup trophy, which would extend what is already a record number of 28 conquests of the coveted trophy and already means a seventh final in the last nine attempts. 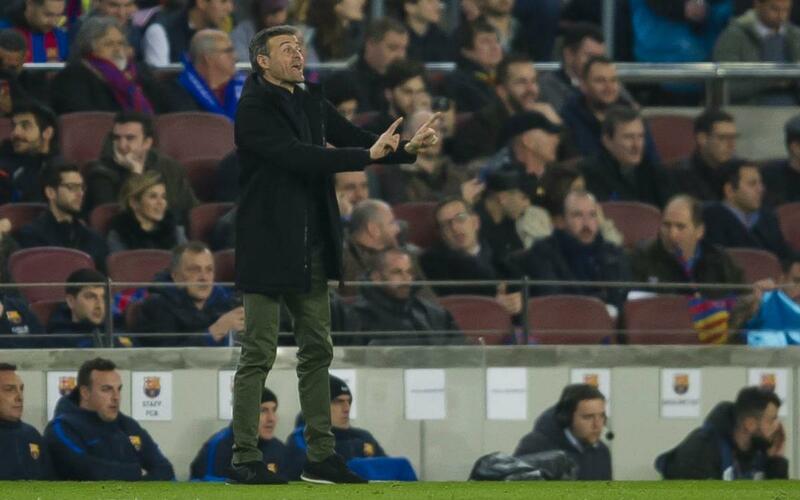 It’s certainly a competition that Luis Enrique knows how to handle. Since he’s been on the bench, Barça have yet to lose any tie (be that two-legged encounters or finals), making it 12 out of 12 in the knockout tournament. This is the second time that Barça have made it into four consecutive finals. The previous run was from 1951 to 1954, which included the last time that any club has won the cup three times in a row. They lost the fourth of those finals to Valencia in 1954. Luis Enrique has an almost perfect record in cup games at the Camp Nou: eleven straight wins followed by Tuesday’s draw. Luis Suárez is now the club’s 14th highest goalscorer of all time. His 107th goal ties him with Zaldúa, the Basque striker of the 1960s. Leo Messi and Suárez now have exactly the same goalscoring records in this year’s domestic competitions: 16 goals in La Liga, 4 in the Copa and 1 in the Super Cup. But the Argentinian has by far the upper hand in Europe, with 10 goals compared to the Uruguayan’s two. The incredible record of Barça never losing if Luis Suárez scores continues. Barça have won all but four of those 68 games, and the other few all ended in draws. Luis Suárez has scored three goals in his last three cup outings. He got the third in the 5-2 defeat of Real Sociedad, opened the scoring at the Calderón and then got Barça’s solitary goal last night. Gerard Piqué topped the passing stats for Barça with 58, all but four of which found their man, even though 13 of those were long balls. The last 17 games with Atlético Madrid at the Camp Nou have produced 11 home win and six draws. There have been some intense encounters between the sides, but Barça haven’t been toppled by the red-and-whites since 2006. Sergi Roberto and Luis Suárez will both miss the final after being sent off on Tuesday. No Barça player had been red carded in a cup match at the Camp Nou since Ronaldinho got his marching orders against Zaragoza in 2005/06 and this was the first time ever that two FCB players had been ordered off in a cup game at the Camp Nou. Sergio Busquets and Andrés Iniesta both returned to playing duty after recovering from injury. The former had seen no action since January 8 at Villarreal while the first team captain was substituted at half-time away to Real Sociedad on January 19.